I want to share some articles about telecom fields. enjoy your stay at my blog! Power-over-Ethernet (PoE) is the technology that allows network switches to transmit power and data through an Ethernet cable at the same time. 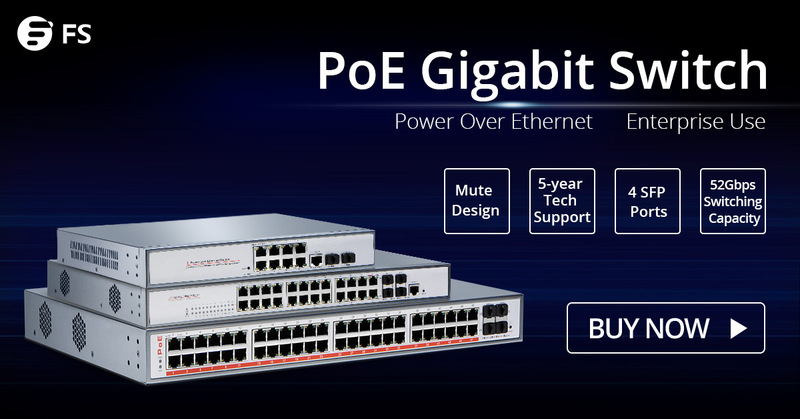 PoE switch streamlines both of the processes of powering and providing data to the device, which makes it a straightforward and reliable device for home network and small enterprise application. This article describes two types of PoE (PoE and PoE+) that are commonly used and provides information on what types of PoE can be used according to different applications. Power over Ethernet technology facilitates powering a device (such as an IP phone, IP Surveillance Camera, or NVR recorder) over the same Ethernet cable as the data traffic. 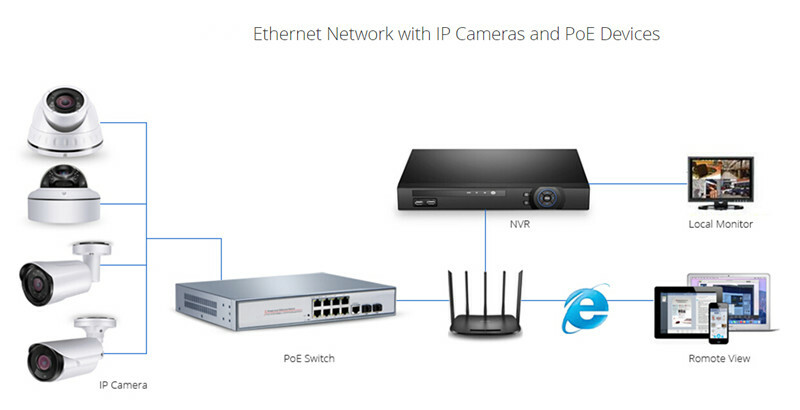 Figure 1 shows an Ethernet Network with IP camera, PoE Switch, NVR recorder and Wireless router. Compared to non-PoE devices, PoE devices feature with flexibility that allow you to easily place endpoints anywhere in the business, even places where it might be difficult to run a power outlet. PoE was first defined in the IEEE 802.3af standard. PoE devices utilize PoE standard, which can provide up to 15.4W of DC power to each port. A later standard, IEEE 802.3at, known as PoE+, increases the amount of power to 30 W. The major difference between 802.3af (PoE) and 802.3at (PoE+) is that PoE+ PSEs can provide almost twice as much power over a single Ethernet cable. Can PoE+ devices work over PoE Ports, Or vice versa? The PoE+ standard provides support for legacy PoE devices, meaning that an IEEE 802.3af powered device (PD) can operate normally when connected to IEEE 802.3at (PoE+) power sourcing equipment (PSE). PoE+ PSEs can supply power to both PoE and PoE+ PDs. However, as PoE+ PDs require more power than PoE PSEs can provide, PoE PSEs can only supply power to PoE PDs. Whether to use PoE or PoE+ switch for your network, you need to calculate your required power budget carefully for all of the PDs you plan to connect. PoE+ IEEE 802.3at devices can supply a maximum of 30 watts per port, while PoE IEEE 802.3af devices can supply a maximum of 15.4 watts per port. However, some power is always lost over the length of the cable, and more power is lost over longer cable runs. The minimum guaranteed power available at the PD is 12.95 watts per port for PoE and 25.5 watts per port for PoE+. For most endpoints, 802.3af is sufficient but there are devices, such as Video phones or Access Points with multiple radios, which have higher power needs. It’s important to point out that there are other PoE standards currently being developed that will deliver even high levels of power for future applications. Optical switches have a power budget set aside for running the switch itself, and also an amount of power dedicated for PoE endpoints. FS POE switches can supply power to network equipment such as weather-proof IP cameras, AP and IP telephones. They are featured with high flexibility, high stability and high resistance to electromagnetic interference. All FS PoE switches come with a one-year limited warranty, including any quality problems during the free maintenance. The following above shows 1G PoE Switch with 24 1000BASE-T and 4 SFP ports. ← What Are OM1, OM2, OM3 and OM4 Fiber Patch Cable? Was CWDM Mux/Demux ist und Wie installiert wird? Managed Switch vs Unmanaged Switch: Welchen zu wählen?